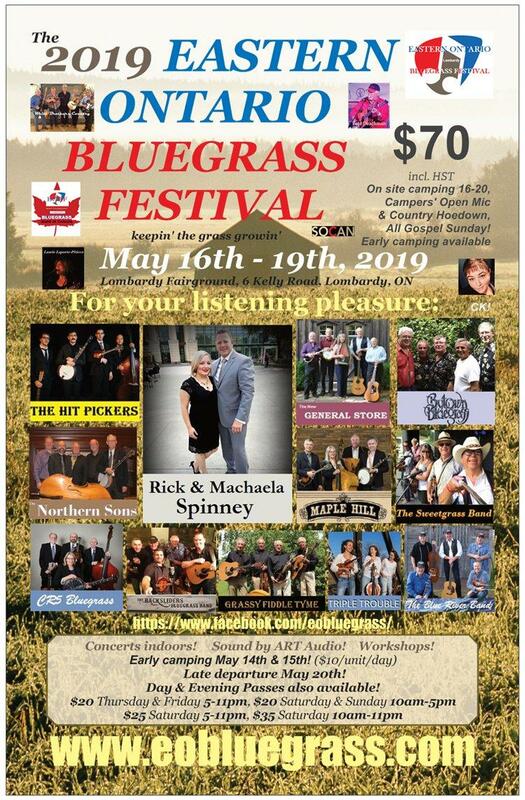 Full Festival Passes to the 2019 EOBF are now available at Long & McQuade in Kingston, Center Stage Music in Gananoque. online at www.eobluegrass.com, www.cr5bluegrassband.com, by calling Bill & June White @ 613-329-1485 or 613-877-4040 or Christine & Dan Potter @ 613-928-2762 or 613-305-0844. "Day", "Evening" and "Full Day" passes for the 2019 EOBF will be available at the main entrance to the Lombardy Fairground on your arrival. See you in Lombardy! !